Clinically proven, (MP)2 proprietary algorithms to create a highly efficient, tightly woven energy matrix. This dense energy matric penetrates multiple layers of skin, heating it uniformly from the inside out. FREEZE (MP)2 features the OctiPolar 24cm2 treatment area for faster coverage than any other standard applicator. Treatment is up to 4 times faster, hence you will spend between 20-30 minutes for Facial treatments and up to 40 minutes for Body Treatments. How many treatments before I can see results? You will see and feel the change after a single treatment. For optimal results we recommend 6-8 sessions. FREEZE (MP)2 promotes nautral skin healing without injuring the delicate skin surface. (MP)2 synthesizers combine 8 energy waves into a single matrix to effectively reduce temperature peaks. The treatment is so safe that there is no need for cooling gels or sprays. When Dr. Jeanette Coutin brought her Fontaine de Jeunesse medical spa to Great Falls in the summer of 2013, she was sure it would be a terrific location to offer services in the field of aesthetic medicine. She was right. Until a few years ago, aesthetic medicine usually meant surgical treatments such as liposuction and facelifts. But during the past decade, research brought a deeper understanding of how skin ages, and has led to development of non-surgical approaches that have quickly gained popularity. “People don’t want to be cut,” Coutin noted. “Long recovery times and the risk of infection make surgery unacceptable to most people.” But the newest non-invasive treatments for cellulite reduction, wrinkle reduction, skin tightening and stretch mark reduction can all be had in half an hour. All were on display for visitors at an open house at the spa on Feb. 5. “You can do this at lunch time and go right back to work,” Coutin said. Last month, Fontaine de Jeunesse became one of the first medical spas to install the new Venus Legacy machine, which utilizes multi-polar and magnetic pulse (MP)2 technology as well as Pulsed Electro Magnetic Fields (PEMF) and VariPulse (VP) technology. 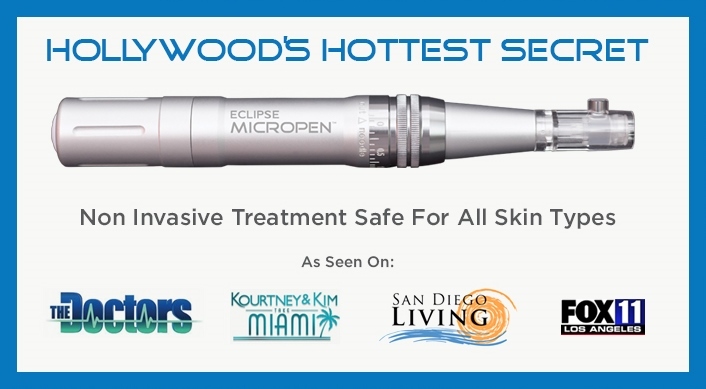 Eclipse MicroPen™ is a revolutionary cordless dermal micro-needling device used by skincare professionals worldwide. Safety First. MicroPen is inherently safer than dermal rollers, utilizing sterile single-use surgical grade disposable needle tips. The unique features of the Turbo Safety Needle™ ensure the Eclipse MicroPen™ delivers greater efficiency and superior clinical results while maintaining the highest level of safety for both patient and provider. It is also safe for ALL skin types, which means it is a great procedure for almost everyone! Faster is Better. MicroPen’s high-speed motor means efficient and reliable penetration. The rapid needle motion provides a more comfortable experience that patients describe as a mild sandpaper-like sensation. Customized For You. Each patient has unique skin needs and requirements. 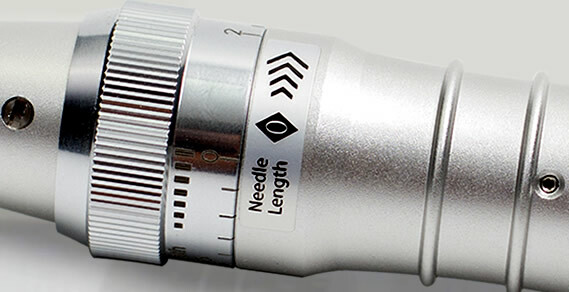 The variable needle depth feature allows MicroPen professionals to customize your treatment for best clinical results. Consistent Results. Safety and control features lead to predictable, consistent results. Compared to lasers and dermal rollers, MicroPen™ is able to deliver reliable and improved outcomes for virtually every patient. A topical gel is applied to clean skin. In most cases your practitioner will use a hydrating hyaluronic acid (HA) gel. This is a soothing product that helps the MicroPen™ glide across your skin creating superficial micro-injuries designed to ultimately improve your skin condition upon re-epithelialization. Your practitioner will select the appropriate pen setting based on your skin’s condition. Secondly, the practitioner will determine how many passes of the pen are required. Again, your practitioner will determine the number of passes (usually one or two) based on the clinical circumstances and general condition of the skin. As the Eclipse MicroPen™ is applied to the skin, hundredsof superficial micro-channels or holes are created every few seconds. The process stimulates your skin’s natural ability to heal itself. This repair process begins almost immediately. As a result, new collagen and elastin produce softer, firmer skin and reduce the appearance of wrinkles, acne scars and textural issues. 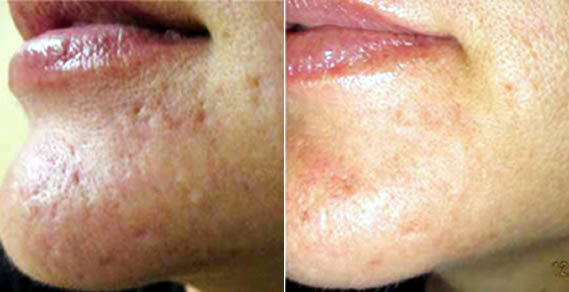 Typically the skin has a nice glow to it immediately following the treatment. Results can be observed in as early as 30 days. How deep does the MicroPen go? From very superficial penetration to deep dermal penetration, the professional applications have a wide range of potential to improve and correct skin problems without the use of lasers. Penetration ranges begin at cosmetic depth of 0.25mm to clinical treatment depths up to 2.5mm. Light penetration opens the skin long enough for the introduction of specific treatment serums. 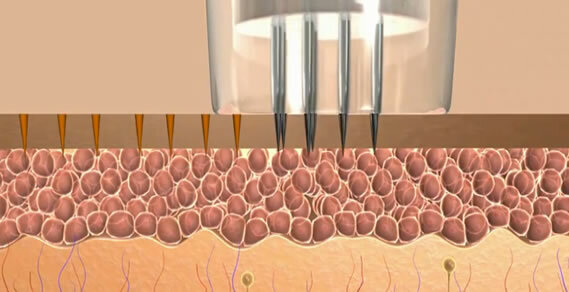 Since most product molecules are too large to cross the skin barrier, they can only be minimally effective.The MicroPen opens the skin for a few minutes and this allows a huge increase of product penetration – your product ingredients can then reach beneath the surface where they will do the most good.Treatment serums can be selected for skin lightening, hydration, texture and pore tightening. Mid penetration depths can have a very positive impact on superficial sun damage and light scarring to improve skin texture and tone and a visible improvement in pore size appearance. Deeper levels of penetration can improve acne scars, burn scars, stretch marks and tighten skin and soften wrinkles. MicroPen reduces the risk of post treatment pigmentation that is more prevalent with laser heat for ethnic skin (Patients will still need to use sun protection and avoid heat exposure while in the recovery phase. Depending on the treatment goal, you can expect to see results immediately for product introduction benefit to 4 to 6 months for scarring. Superficial treatment levels are very tolerable with nothing more than topical numbing gel (the lightest application requires no numbing at all) applied prior to the treatment. In the instance of aggressive treatments, Dr. Coutin will discuss the options for making the treatment the most comfortable for you. Day 1: Erythema and red appearance and severity will depend upon how aggressive the treatment was performed. Day 2: A red hue or pink hue persists like a moderate sunburn. Swelling may be more noticeable on the second day. Day 3: Skin can be pink or normal color. Swelling subsides. Dr. Coutin will prescribe post procedure care. 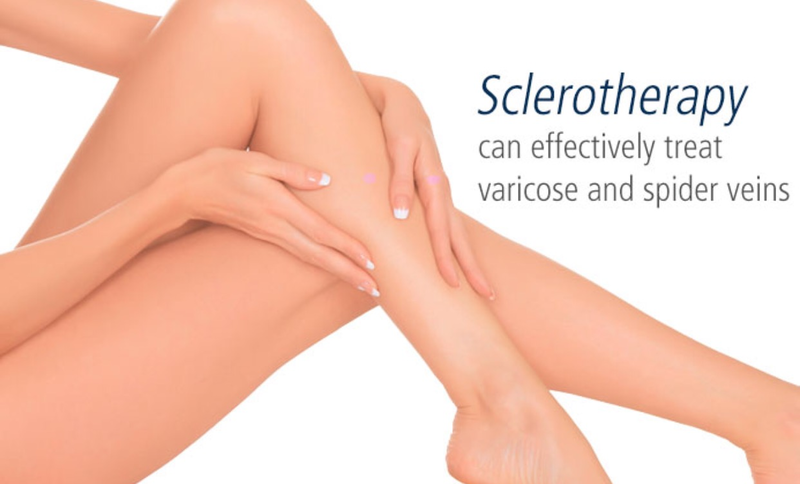 Sclerotherapy is a medical procedure used to eliminate varicose veins and spider veins. Sclerotherapy involves an injection of a solution (generally a salt solution) directly into the vein. The solution irritates the lining of the blood vessel, causing it to swell and stick together, and the blood to clot. Over time, the vessel turns into scar tissue that fades from view. Sclerotherapy is a proven procedure that has been in use since the 1930s. Prior to sclerotherapy, you will have an initial consultation with a dermatologist or vascular medicine specialist who will decide if you’re a good candidate for the procedure. You are not eligible if you are pregnant. You can have sclerotherapy if you take birth control pills. If you have had a blood clot in the past, your eligibility will be decided on an individual basis, and will depend on the overall health of the area needing treatment as well as the reason for the clot. Veins that are potentially usable for future heart bypass surgery will generally not be considered for sclerotherapy, unless they are already deemed unusable. In most cases of sclerotherapy, the salt solution is injected through a very fine needle directly into the vein. At this point, you may experience mild discomfort and cramping for one to two minutes, especially when larger veins are injected. The procedure itself takes approximately 15 to 30 minutes. The number of veins injected in one session depends on the size and location of the veins, as well as the general medical condition of the patient. Sclerotherapy is performed in the doctor’s office by a dermatologist or a surgeon and requires that you do not do any aerobic activity for a few days after the procedure. Prior to sclerotherapy, you should avoid certain medications. Talk to your doctor about all medicines (including over-the-counter drugs, herbs, and dietary supplements) you are taking. If you need to take an antibiotic before sclerotherapy, contact your doctor. No lotion should be applied to the legs before the procedure. Some doctors recommend avoiding aspirin, ibuprofen (such as Advil, Motrin, and Nuprin) or other anti-inflammatory drugs for 48-72 hours before sclerotherapy. Tylenol, however, should not affect this procedure. 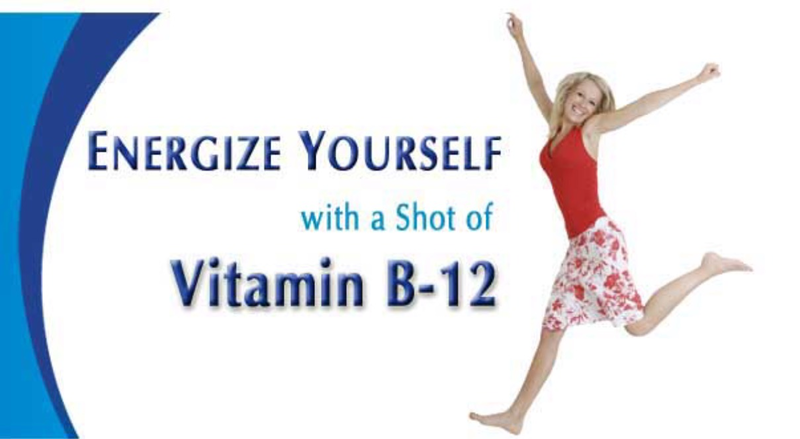 B-12 helps restore balance to your life and allows your body to feel energized throughout the day. Our adrenal glands are the powerhouse of our body allowing us to stay alert and focused throughout our active lifestyles. The adrenals use B-12 as fuel to keep functioning at this high-energy state. After a lifetime of daily stress and activity, we our B-12 can be depleted, causing symptoms like fatigue, brain fog, memory loss, sleep problems and weight gain. 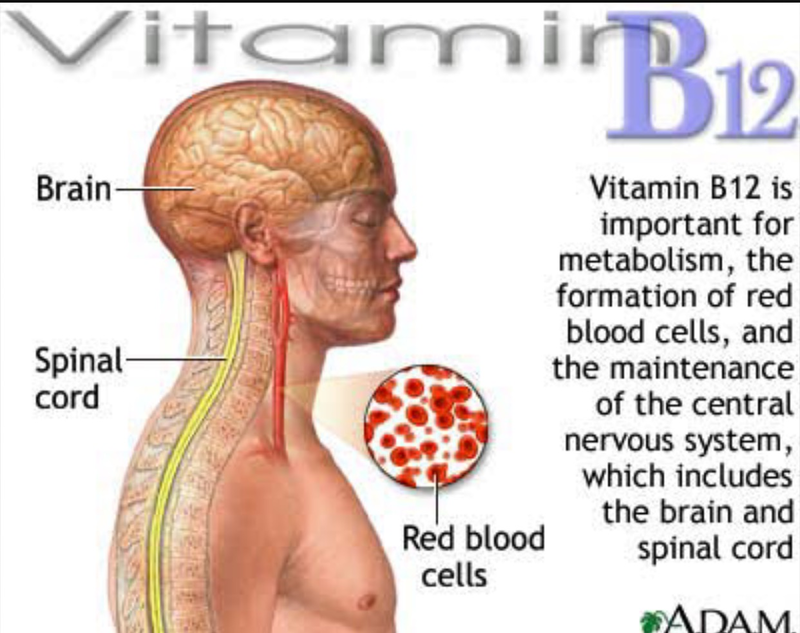 In a perfect world we would get our B-12 mainly through nutrition; however, this vitamin can be tricky to fully absorb. Foods highest in B-12 include poultry, red meat, fish, dairy, eggs and fortified nutritional yeast – and these can be limited items in our diets.